The Ingredient TPHP EWG Can’t Be Trusted to Provide the Facts! I’ve read the original report about the ingredient TPHP which is used in some nail polishes. I’ve also read the so-called “analysis” by the activist group EWG or Environmental Working Group, who actually commissioned this study and report, as well as helped to write it. I have a few comments to share, but my research into this matter is not yet complete. I still want to read the references that were cited, but that may take a while. Here is what I have learned so far by reading the original paper and the analysis. Feel free to share this information and my opinions with others, in fact, please do! 1. Over the years I have watched the activist group, known as the EWG, as they have consistently distorted scientific studies for the purposes of exaggerating the risks so they can intentionally create unwarranted fear. The EWG’s recent “analysis” of the Duke University study is yet another example. 2. They suggest in their headlines that furniture fire retardant was added to nail polish, but that’s not very accurate, and it is typical of how they distort the facts in order to frighten the public. TPHP is used at 20 times the typical concentrations found in nail polish when used as a flame retardant. 3. When used in low levels, e.g. 1%, as it is used in some nail polishes, TPHP it is a softening agent or plasticizer… and not a flame retardant. The Duke study clearly says that the TPHP was “likely added to increase flexibility and durability”. I guess the EWG didn’t want you to know this fact, so they phrased their headlines to incite fear, not to create clarity. They want to pretend it’s all the same and lump all the issues together, which is ludicrous and not a fair way to view this issue. 4. They also didn’t want you to know that the Duke study says this substance is widely used around the world for many purposes. The Duke Study points out that even people who don’t wear nail polish have similar levels in their urine, likely due to all the other exposures which occur in life. 5. Even so, the amounts detected are EXTREMELY LOW and are only detectable because modern scientific instruments are now very good at finding traces that otherwise would be undetectable. 6. The Duke Study says that before even starting this nail polish test, the urine of the 101 people was measured and TPHP was found (in trace amounts) in 87 people, who were not related to this study. This says that many in the general public have tiny traces in their urine that is NOT related to wearing nail polish. In fact, the Duke study says that TPHP is found in trace amounts in 90% of the general public tested in North Carolina and that other studies have also similar results in other parts of world. 7. The test subject’s urine “before” applying nail polish was reported to contain about 0.00000000097 grams per every milliliter of urine. So it was already in the test subject’s urine in tiny traces, before the testing started. The study claims that nail polish used raised this extremely tiny pre-existing amount up to 0.0000000063 grams per milliliter of urine- which is also a very tiny trace. That’s not very much of a change! In fact, it could be a trivial increase that means nothing. Note: Giving people the real numbers, like I’ve done here, isn’t scary, so instead it is claimed that this is a 6.3 times increase and left it at that. However, 6.3 times nearly nothing is STILL nearly nothing! It just sounds a lot scarier to say there was a 6.3 times increase (which the EWG rounds up to “nearly 7 fold” rather than to say 6.3 times). That’s why the real numbers are not told to the public, it fools them into thinking the exposures and risks are much greater than they really are. The EWG says that levels increased “sharply”, but that’s not what the study shows. The study shows a very small increase in urine concentrations over existing levels before nail polish application. 8. Interestingly, the Duke report noted that their purified water which was used by the laboratory also contained TPHP. That’s correct; it contained about 0.00000000011 grams per milliliter water. Which had to be subtracted from the results obtained. That shows how sensitive these tests are. They could probably find TPHP if only a few drops were added to an Olympic size swimming pool of highly purified water. Of course, this low concentration would NOT make the water unsafe to swim in, but the EWG wants you to think otherwise. They are trying to fool the public into thinking there is no safe amount, which is a common trick they use often. That lets them “demonize” any ingredients they want for any reasons they choose! They don’t want people to understand there are safe levels for everything. Nothing is so dangerous that “any” amount is harmful, even one molecule. That’s because everything has a safe level of exposure. 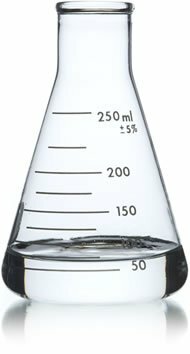 Note: the Duke Study says that 0.00000000011 grams per milliliter of TPHP in there purified water is “very low”. I agree, so is the reported increase to 0.0000000063 grams per milliliter of urine. This is why the public often is not told the actually amounts that are found in these types of studies. They know that most would understand these are reeaaaly low levels and this study is scientifically “splitting hairs”, so to speak. 9. Even the Duke Study states, that human exposure to TPHP in nail polish and the potential risks have “not yet been characterized”. So hold your horses and slow down EWG, you’re putting your cart before the scientific evidence yet AGAIN! To date, there is NO indication that exposure to these very low levels from nail polish causes any harm to nail polish wearers, so the EWG is jumping the gun by more than a bit. This is typical for them and why I say the lack of information never stops the EWG from jumping to conclusions to mislead the public and unfairly demonize yet another ingredient. It’s what they do and why they try to tie this to furniture fire retardants, to hide the real facts and cloud the issue. 10. The Duke study also says, “Data on the toxicity of TPHP in humans is scarce…”, so they had to cite studies with fish. They claim that only two studies suggest there may be a problem in people, both done by the “same researcher”! And, these were done on flame retardants products and not nail polish, so they were investigating much higher exposures than would ever occur from using nail polish. We don’t yet know what this one researcher actually says, but apparently the results aren’t conclusive, nor have the results been confirmed by other researchers. So there is little information and this is NOT as black and white as the EWG wants everyone to think, which is how they operate on a regular basis. I plan on reviewing these studies as well, which most won’t bother to do. I’ll let you all know what I find. 11. Another EWG exaggeration is made when they claim, “Clear nail polishes generally contain more TPHP than colored nail polishes”. Excuse me, but that’s NOT what the Duke Study says. It clearly states, “However, due to our small sample size, we caution against the over interpretation of this finding.” They tested only a few bottles. I guess the EWG didn’t read that line in the report before they made this unfounded statement, but that is also typical of how they are fast and loose with the facts and distort them to match their own preconceived notions. They want everything to be black and white and try to paint ingredients as “good or bad”, so they ignore any inconvenient details that get in the way of their intentional oversimplifications. 12. The Duke Study failed to collect information on their test subjects concerning body mass, other environmental exposures to TPHP or smoking habits, and likely they should have. I don’t understand why this was omitted, given that they know TPHP environmental exposures occur regularly. 13. To get the graphs that the Duke Study uses to make their comparisons, the data had to be manipulated using mathematical (statistical) methods. These methods can be used properly or improperly. But whenever scientific data is manipulated in this fashion, it is easy for even a well-meaning researcher to be misled. That happens a lot, so I am always especially leery of data that is manipulated in the fashion done in this study. Squeezing data to extract information often leads to misunderstandings, in fact, it is often done to make poorly performed or inconclusive studies look more important and illuminating than they really are. I’d like to see the original data that Duke collected to determine if this occurred. Unfortunately, Duke did NOT release their original data, just the results after mathematical manipulation to create their statistics. My recommendation is to be leery of any statistics you see in the media. As Mark Twain is famous for saying, “There are three kinds of lies. Lies, damn lies and statistics.” I agree. 14. To be very clear, I am NOT accusing Duke of scientific fraud nor any unfair actions or misdeeds or wrong doing. Not at all nor am I in any way trying to suggest this. It appears they attempted to do a good study, but I did notice a glaring misjudgment on their part. It appears that they failed to run the appropriate controls needed to properly evaluate the data collected. They should have collected urine in the same fashion from a group that never wore any nail polish and then used the control group for comparisons. They failed to do this and I think it is obvious that they should have done so. Then a much fairer comparison could have been made between the group that wore nail polish and a group that did not. I think this would have shed more light on the issue and would probably have demonstrated that very little changes occurred due to nail polish wear, and perhaps it would have been discovered that there was no significant difference. This was an error on their part and it weakens any conclusions that may be drawn. 15. One thing I find troubling, the Duke Study recognizes that the nail plate is known to have “low permeability to most molecules”. They speculate that something in the nail polish “may” have increased absorption through the nail plate, but they can’t say what it was. In my view, this amounts to “guessing” about something that is very strange about the results they obtained. It is very difficult to get most molecules to penetrate the nail plate, that is correct. Penetration depends largely on the molecules size and shape. If you look at the size and shape of TPHP, it seems pretty unlikely that very much penetration would occur through the nail plate, especially after only a few hours. It is pretty big and extremely bulky for a molecule of its size. So absorption at the rates claimed would be very surprising, not entirely impossible, but very surprising. So, how did this absorption occur? That is still unexplained. The study concludes that most was probably not inhaled and I agree with that conclusion. If TPHP did absorb through the nail plate, the absorption would probably be very slow, not nearly as quickly as the study indicates. So, to me they seem to be grasping at straws to explain away something that appears contrary to the known science. A FAR better explanation is that the users were NOT told to be careful about applying their nail polish and probably got it all over their skin (perhaps intentionally), which is not how nail polish is supposed to be used. The study says nothing about what instructions were given for application, nor does it seem they made any attempt to provide application directions or to ensure proper use. Perhaps they did these things, but nothing was mentioned in the study and direct skin exposure seems to be the only likely route of entry, according to their own results. Throughout the study, the Duke researchers refer to this as “dermal” penetration of TPHP, which is “skin” penetration and NOT nail plate penetration. So the Duke researchers seem to agree that this is a result of skin contact with the polish during application, not absorption through the nail plate. This is indeed very, very strange and not at all satisfactorily explained in the study. In fact, this is a very odd result that needs to be explained by more than a vague guess. Bottom Line: My personal opinion is that this is an interesting study, but it was not performed in a way that would lead to understand of the issues. The results are presented in a way that proves very little, instead the study points out how much they don’t know. The EWG, once again, appears to be making a “mountain out of a mole hill” as they are accustomed to doing. In fact, their core competency is exaggerations. Until we see fact-based evidence that these VERY low amounts of TPHP pose some type of health risk, I am not too concerned by the Duke Study. Remember these trace exposures happen with or with nail polish application and apparently this has been the case for many years. Of course the EWG wants you to be afraid- just in case. But we can’t go around being afraid of everything, just in case we should. In my view, this just amounts to fear-mongering and without sufficient evidence… which is typical the EWG. That’s why in my opinion, they are NOT a credible source of fact-based information and can’t be trusted to provide unbiased reviews. They specialize in duping the public AND the media with misinformation, so anyone writing about this story would be wise to ask a lot of questions and not just accept them at their word.